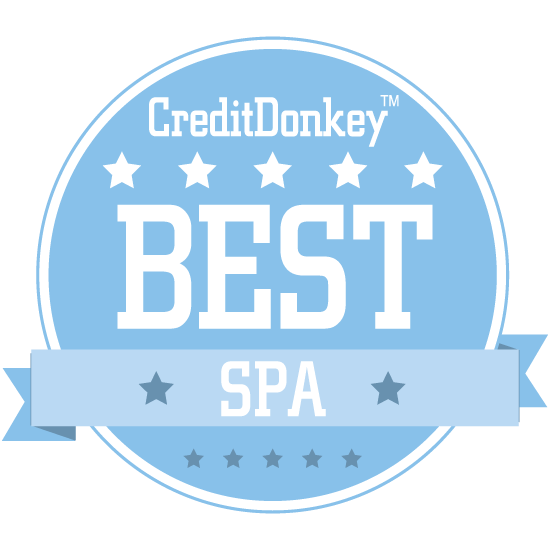 Winners of the CreditDonkey Best Spas Award have been announced. Find the perfect place to relax, get pampered, and melt away your stress. Ever need to just escape life for a little bit? Spas offer the perfect sanctuary, whether you're looking a beautification treatment or just to relax and feel decadent for a couple of hours. For many of us, a day at the spa is the ultimate luxury. But let's face it: spas don't come cheap. A spa can be thought of an investment in yourself - not only to relieve tight muscles and aching joints, but also in your mental health. At CreditDonkey, we're all about helping you make savvy money decisions. You work hard for your money and there's nothing wrong with treating yourself once in a while. But you want to make sure that your dollars will be well spent. We have curated this list of the nation's very best spas that will help you unwind and feel good about yourself, from the inside out. Read on to see which spas made our list of winners. These spas stand out for their beautiful facilities and services. There's something for everyone, whether you're looking for a meditation retreat, a weight loss spa, cosmetic treatments, or just to rejuvenate in style. Hilton Head Health Weight Loss Spa and Health Resort is an island destination wellness retreat that shapes healthier lifestyles for those who struggle with weight, diabetes, heart health, cancer, and more. Why Hilton Head Health Weight Loss Spa and Health Resort is a Top Spa: Whether you are trying to lose weight and get healthy or just looking for a healthy vacation in a beautiful location, Hilton Head Health will have something for you. If you want to lose weight, they offer multiple programs starting at one week, and will help you put together a comprehensive weight loss plan for after you head home. The Greenbrier is a West Virginia mineral spa that offers a variety of services for those looking for relaxation and comfort. Why The Greenbrier Mineral Spa & MedSpa is a Top Spa: Visitors can luxuriate and enjoy the healing properties of the natural sulphur spring waters, enjoy spa treatments, or take part in MedSpa services. They even offer golf, a casino, and wedding venues; check out their website to see all of their offerings. Blue Water Spa in Raleigh, North Carolina, is a medical spa that offers laser hair removal, Botox injections, and cosmetic surgery. Dr. Michael Law of Blue Water Spa is a board-certified plastic surgeon who trained and worked in California before returning to Raleigh. Why Blue Water Spa is a Top Spa: They offer a scientific approach to skincare alongside a full range of traditional spa services like facials and hair removal. They bring their clients a single location in which all of their aesthetic needs can be met; take a look at their site to see all they offer. The Oaks in Ojai, California, is a wellness and healthy weight loss retreat that specializes in the needs of women over 40. Family owned and operated since 1977, The Oaks helped lay the groundwork for the spa industry. Why Oaks at Ojai is a Top Spa: Overnight packages include healthy meals, a range of 15 fitness classes per day, and activities like hiking, kayak tours, belly dancing, and more. They aim to help all of their visitors shed unhealthy habits and sustain the good ones that they'll learn while at the Oaks. Ojai Valley Inn & Spa in Southern California offers a range of spa services alongside mind and body classes and fitness activities. Why Ojai Valley Inn & Spa is a Top Spa: With a range of spa packages, it's a great destination for anyone looking to relax; they offer packages tailored to couples, individuals, and even pregnant women. In addition to the spa, this is also a full-featured resort with fun for the whole family and beautiful natural features nearby. Jolie Salon & Day Spa services the Blue Bell, Pennsylvania, area, offering massage, skincare, and hair, nail, and makeup services. Owner Peter Lee has been a hairstylist for over 20 years, and created Jolie to attract the most talented and enthusiastic people in the salon and spa industry. Why Jolie Salon & Day Spa is a Top Spa: They pride themselves on excellent, harmonious customer service, and their employees will help you have the best experience possible, regardless of whether you're a spa newbie or a seasoned pro. They also offer gift cards and bridal party services; check out their website to see all of their services. Grand Geneva Resort & Spa in Lake Geneva, Wisconsin, is a place where visitors can let go of everyday headaches and reclaim a sense of physical and mental harmony. Why Grand Geneva Resort & Spa is a Top Spa: To help visitors do that, they offer a wide range of services, from a fitness center to a salon to massages. With beautiful accommodations and even the opportunity for skiing and other snow sports available, this is an excellent destination in both the summer and winter. A New Spirit Wellness Center & Spa is a Denver day spa and massage treatment center that also offers customized bioactive treatments from a knowledgeable staff. Why A New Spirit Wellness Center & Spa is a Top Spa: With affordable pricing and services also including float tanks, acupuncture, and saunas, visitors can spend the day or pop in for a quick treatment. Locals can even download their app and receive loyalty points toward rewards with every visit. Sunrise Spring Spa Resort in Santa Fe, New Mexico, has 70 acres of gardens, paths, and scenic high desert landscape to relax in. Why Sunrise Springs is a Top Spa: Their services include spa treatments, yoga, a sweat lodge, hiking excursions, and more. It's also a beautiful, relaxing retreat that offers farm-fresh meals and beautiful accommodations for those looking to escape for a bit. SHIZUKA new york Day Spa is a day spa offering a wide range of treatments, including massage, skincare, medical, and more. 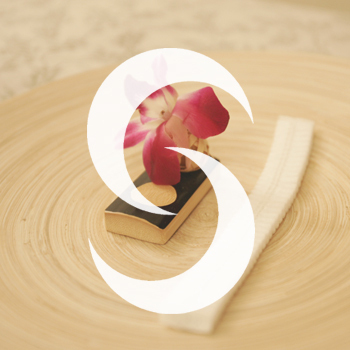 SHIZUKA's master aesthetician Shizuka Bernstein has gained fame for her treatments, including her well-known Geisha facial treatment. Why SHIZUKA new york Day Spa is a Top Spa: Located in the heart of midtown Manhattan, they combine the latest in Western dermatology with time-honored Eastern holistics in a relaxing, tranquil setting. Ascent Spa is located at the Tenaya Lodge at Yosemite, and offers spa treatments and summer yoga classes in a beautiful mountain setting. Why Ascent Spa is a Top Spa: Visitors can get a massage, facial, or body wrap, take part in summer yoga classes, or enjoy a huge range of outdoor activities. If you're looking to relax and rejuvenate and want to make hiking, skiing, horseback riding, and other outdoor activities part of your plan, take a look at Ascent Spa. Glen Ivy Hot Springs in Southern California offers visitors a range of spa experiences, from the traditional massage and skincare to social opportunities like their Grotto Body Moisturizing Treatment. Why Glen Ivy Hot Springs is a Top Spa: The Grotto is a unique, multi-step skin moisturizing experience through four underground chambers that can be done individually or in a group. 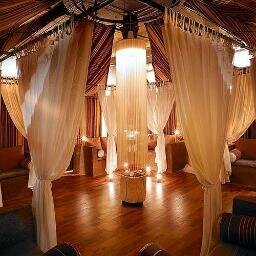 Visitors can even rent private cabanas and relax with refreshments once their treatments are complete. The Woodlands Spa at Nemacolin Woodlands Resort in southwestern Pennsylvania is an internationally acclaimed spa destination that features a full-service salon, a spa offering a large variety of treatments and services, and spa vacation packages. Why Woodlands Spa at Nemacolin is a Top Spa: Their Holistic Healing Center offers acupuncture, healing meditation, and more, provided by licensed specialists. They even have a kids' spa where kids can take part in age-appropriate spa activities and learn about health and wellness. New Life Hiking Spa is a unique destination that combines outdoor fitness with spa services in the beautiful woods of Vermont. Why New Life Hiking Spa is a Top Spa: They include one $75 spa service for each three-night stay; services include massage and reflexology. They have also provided healthy, fresh meals made to promote weight loss for their over 35 years of existence. Old Edwards Inn and Spa in North Carolina offers European-style elegance in a beautiful mountainous setting. Why Old Edwards Inn and Spa is a Top Spa: Visitors can enjoy a range of therapies, including massage with healing herbs and botanicals from around the world, and each therapy can be performed in a private treatment room or in your spa suite. They also offer saunas, whirlpools, steam rooms, and even a relaxing fireside lounge for when you're all finished with your treatments. Pala Casino Spa & Resort in Pala, California, combines entertainment with luxury, all set against the beautiful backdrop of the Palomar Mountains. Why Pala Casino Spa & Resort is a Top Spa: Featuring 14 treatment rooms, including two romantic signature spa suites, a fitness center, salon, and a retail boutique, Pala aims to meet all of your relaxation needs. When you're finished with your spa treatments, the fun can continue in their casino and resort. Grand View Lodge in northern Minnesota offers visitors the opportunity to relax and heal with the power of glacial waters from deep underground lakes. 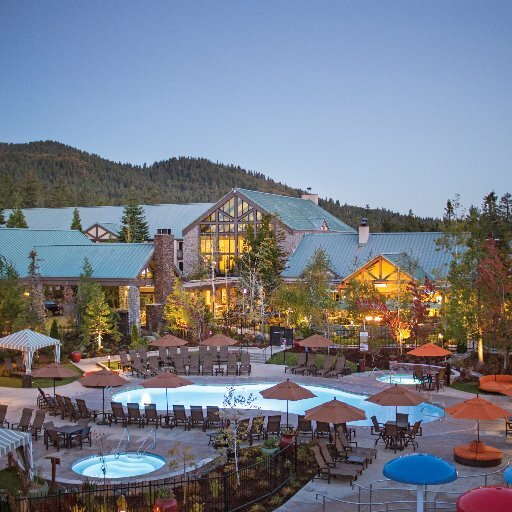 Why Grand View Lodge is a Top Spa: Their packages include one- and two-night stays, as well as single-day spa experiences. With golf, outdoor fun, and dining also on offer, Grand View Lodge offers a wonderful getaway in the great white north. Westglow Resort & Spa in North Carolina invites visitors to escape their everyday tensions and relax in the natural beauty of the Blue Ridge Mountains. Spa director Wendy Jarema has been working at Westglow since 1999, and enjoys leading a staff committed to providing a friendly, rejuvenating atmosphere for guests. Why Westglow Resort & Spa is a Top Spa: Centered around a historic manor house, Westglow's friendly staff offers day spa packages, salon services, acupuncture, and more. Their staff to guest ratio of three to one ensures that every detail will be taken care of and your experience will be memorable and tranquil. The Lodge at Woodloch is a destination spa and resort with a number of unique experiences on offer, all nestled in the natural beauty of Northeast Pennsylvania. Why The Lodge at Woodloch is a Top Spa: Guests can enjoy hydromassage waterwalls in their Aqua Garden, an activity pool with floor-to-ceiling windows looking out on nature, or an expert massage, facial, or body treatment. With cozy fireplaces, covered porches complete with rocking chairs, sunny terraces, and fitness amenities, you're sure to leave feeling fresh and well-rested. Serenity Massage + Wellness Spa in Georgia offers guests massage, facials, body exfoliation, and more in a relaxing, therapeutic atmosphere. Owner Laurie L. Pratt purchased Serenity while in massage school, and is passionate about educating others on the benefits and overall effects massage therapy can have on their well-being. 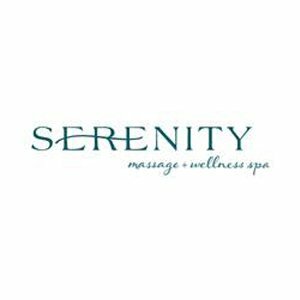 Why Serenity Massage + Wellness Spa is a Top Spa: They pride themselves on a friendly, knowledgeable staff, great prices, and convenience; they accept appointments and occasional walk-ins and offer gift cards, too. Aspira Spa in Wisconsin is located on the banks of a beautiful lake, offering a holistic, organic approach to the spa experience. Why Aspira Spa is a Top Spa: They offer a range of treatments including massage and facials to go with their Hatha yoga classes and specialty treatments. As a resort, they also offer a relaxing lakeside, bike rentals, dining experiences, and much more. The Ranch Malibu is a luxury fitness and health retreat that offers a range of programs based on the principles of endurance, nutrition, and wellness. Why The Ranch Malibu is a Top Spa: Visitors can choose from programs lasting as short as one day to longer, 10-day detox programs. Offering nutritious, organic meals, beautiful scenery, and structured fitness-focused activities, The Ranch Malibu is the perfect retreat for those looking to make a healthy change. Williamsburg Salt Spa in Virginia offers relaxing salt therapy sessions in their man made salt cave, massages and the float tank sessions. Why Williamsburg Salt Spa is a Top Spa: The tranquil salt therapy has been used by Europeans for hundreds of years, and is great for those suffering from respiratory problems. They offer full body hot salt rocks massages. The heated salt penetrates deeply into the muscles, helping the body release toxins. Allyu Spa in Chicago offers a luxurious environment in which to experience therapeutic massage and bodywork, skincare and beauty resources, and more. Why Allyu Spa is a Top Spa: Their space was created using sustainable materials with their relaxation area as its centerpiece: a place for reflection and transition, whether before or after treatment. They offer a wide range of personal and group spa days, as well as mini retreats for couples. The Spa on Penn in Kansas City, Missouri, offers a modern approach to the day spa experience in the urban heart of Kansas City. 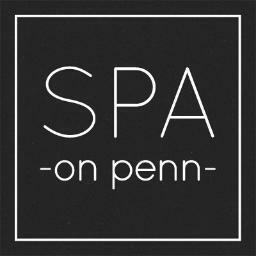 Why Spa on Penn is a Top Spa: They offer massage therapy, skin and hair care, waxing, body treatments, and more in a range of packages. If you book ahead, you can even experience relaxation in a private steam room. The Lazy You Spa at the C Lazy U Dude Ranch in Colorado is a unique spa, made up of six luxurious tents alongside scenic Willow Creek. Why Lazy You Spa is a Top Spa: Visitors can enjoy signature treatments like the "Cowboy Soak," a moonlight soak in therapeutic copper tubs overlooking Continental Divide mountain range. When you're done relaxing at the spa, you can experience the other activities on offer at the resort, like horseback riding, fishing, and mountain biking. 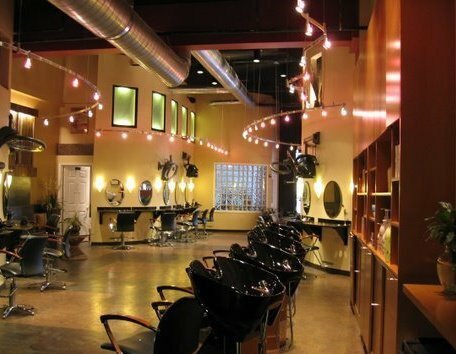 With two Connecticut locations, Adam Broderick Salon & Spa offers the best of urban chic with the convenience of the suburban lifestyle. Adam Broderick began his career as a well-known colorist in New York, and created his Salon & Spa to be a place where talent can incubate and careers can flourish. 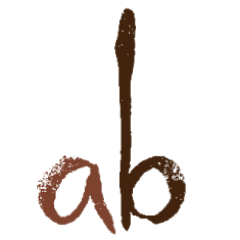 Why Adam Broderick Salon & Spa is a Top Spa: Mr. Broderick's team of top stylists, colorists, spa therapists, and more work together to create a premier, luxurious experience for every visitor. With results-focused treatments for face, body, hands, feet, and hair, this is a truly a beauty destination. 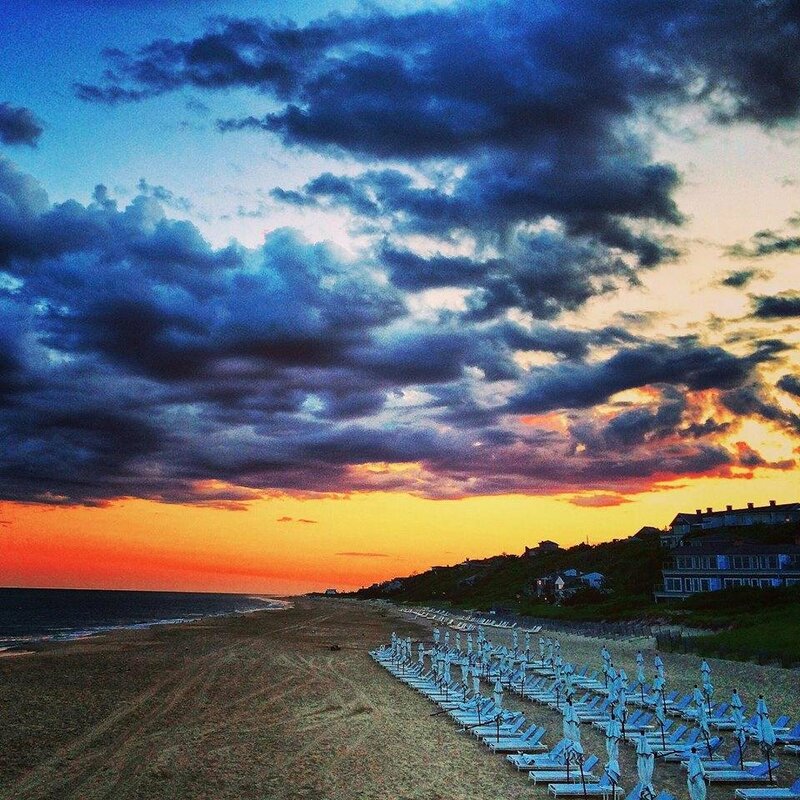 Gurney's Montauk in New York is an oceanfront resort destination with a 2,000-foot private sand beach and seawater spa. Why Gurney's Montauk is a Top Spa: In addition to luxurious accommodations and dining, guests can enjoy an indoor seawater pool, a Finnish rock sauna, and a Russian steam room. Whether you're planning a wedding, meeting, or just looking to get away for a weekend, Gurney's is an iconic and luxurious choice. 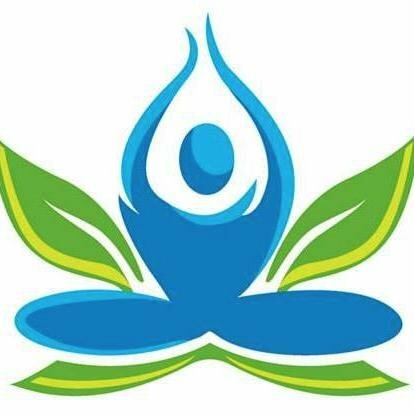 Element Natural Healing Arts in Brooklyn, New York, is offers a wide variety of holistic therapies with a focus on improving health and well-being. 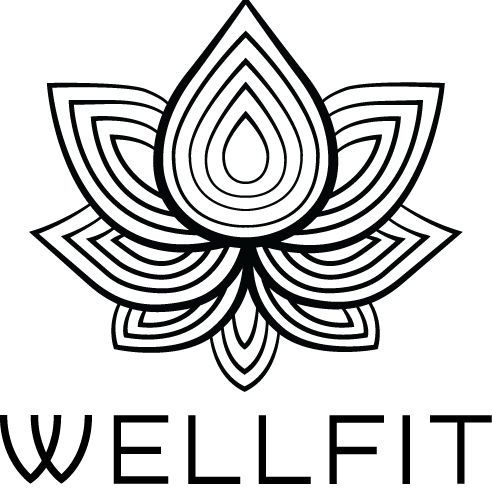 Element was founded by Christina Morris in 2001 with the goal of using Christina's knowledge of Oriental Medicine to create a wellness center with an integrated approach to health, healing, and preventive medicine. Why Element Natural Healing Arts is a Top Spa: Visitors can choose from massage therapies, facials, reflexology, reiki, acupuncture, and much more. Located in the Carroll Gardens neighborhood, Element Natural Healing Arts is easy for Brooklyn and Manhattan residents to reach by subway or bus. The Healing Arts Center & Spa at Cavallo Point near San Francisco is a contemporary oasis designed to replenish the body, mind, and spirit with spa treatments, meditation, and more. Why The Healing Arts Center & Spa is a Top Spa: Visitors can experience a spa day, relax at the tea bar, stretch in their beautiful garden, and learn from their holistic medical practitioners. They also offer shared experiences in the form of workshops, hiking, and yoga retreats. Allegria Spa in Colorado is a first-class spa with 30,000 square feet of facilities situated inside the luxe Park Hyatt in Beaver Creek. Why Allegria Spa is a Top Spa: Their unique "Aqua Sanitas" Roman-style bath experience features five self-guided steps toward peak wellness and inner tranquility. It even comes complimentary on the day of your spa service. Replenish in Columbus, Ohio, offers a peaceful getaway in the heart of the urban hustle and bustle. Why Replenish is a Top Spa: In addition to the health and beauty services you'd expect, they also offer yoga classes, acupuncture, and retail. With a wide range of packages available, Replenish offers something that just about anyone can afford. The Spring Resort and Spa in Palm Springs, California, boasts a natural mineral hot spring and dramatic views of snow-capped mountains. Why The Spring Resort and Spa is a Top Spa: Their mineral springs are some of the hottest in the region, and packed with natural healing minerals. Guests can enjoy resort amenities, spa treatments, and special health programs like cleanses in addition to the mineral springs. 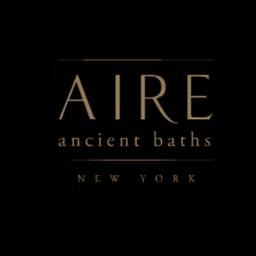 Aire Ancient Baths New York, built around the tradition of ancient Greek and Roman baths, is located in an historic, restored textile factory in TriBeCa. Why Aire Ancient Baths New York is a Top Spa: Their space creates a relaxing experience for the body and mind using ancient traditions of water with temperature contrasts. They also offer a range of spa treatments, including massages and even a red wine bath. With five locations in Florida, The Salt Suite offers guests salt therapy to alleviate respiratory ailments and skin conditions. Why The Salt Suite is a Top Spa: Salt therapy can improve lung function, clear your lungs and nasal tracts from pollen and other allergens, and provide relief from dermatitis, acne, psoriasis, and other skin ailments. Visitors can choose from a range of pricing options, from a single visit up to a monthly unlimited pass. Heaven Spa in Philadelphia is a day spa offering massage, facials, skin care treatments, and more. Why Heaven Spa is a Top Spa: They offer bridal services, spa parties, and even "Ladies' Nights" in their lounge. If you're looking for a relaxing experience in the heart of Philadelphia, or a great gift for a loved one, check out their website for more information. Hop In The Spa in Oregon brings the benefits of craft beer-inspired ingredients, minerals, and additives to their cedar soaking tubs. Why Hop In The Spa is a Top Spa: Soak in a hop-infused spa while enjoying a pint of craft beer, and wrap up the experience with an expert massage. Offering a range of packages, Hope In The Spa is built to be a great destination for couples. At Peace Floatation Spas offers flotation therapy that can help to ease stress, chronic pain, sleep disorders, and more. Why At Peace Floatation Spas is a Top Spa: It's a great option for those whose lifestyle brings them constant aches and pains, like construction workers, contractors, and athletes. Spa owners, chiropractors, and others can also visit their site to learn more about floatation therapy and purchase a tank. KureSPA in Norwalk, Connecticut, provides affordable yet transformative experiences and therapies for those looking to naturally improve their health and well-being. Why KureSPA is a Top Spa: They are the first Vibrosaun Authorized Clinic in the U.S., offering a unique therapy using dry sauna heat and a vibrating bed that can help with weight loss, chronic pain, and injury. Other services include reiki, massage, and an on-site organic juice bar. 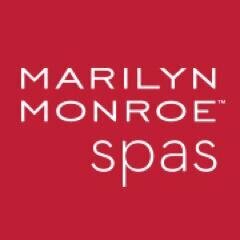 Marilyn Monroe Spas have locations all over the country, and offer affordably-priced spa services in a clean, hygienic, and safe environment. Founder Niki Bryan is an accomplished businesswoman with almost three decades of leadership experience in the spa, beauty and fitness industries. Why Marilyn Monroe Spas is a Top Spa: You can visit their hotel and resort spas, standalone full service spa locations, and nail salons nationwide. If you're a repeat customer, you can even become a member to earn rewards and discounts on treatments. IVme Wellness + Performance Center in downtown Chicago offers hydration therapy from experienced, board-certified physicians and registered nurses. Why IVme Wellness + Performance Center is a Top Spa: This therapy intravenously delivers fluids, vitamins, medicines, and other nutritional supplements to your bloodstream for relief from a multitude of symptoms associated with dehydration. Patients can visit their physical locations for an examination and consultation to determine if this therapy is right for them. Yuan Spa in Bellevue, Washington, is a massage and day spa that blends Asia's ancient healing philosophies with modern spa technologies. Why Yuan Spa is a Top Spa: The spa features a stunning hydrotherapy space in the tradition of Chinese bathing, along with a therapeutic sauna and steam rooms. They also offer individual and family membership plans for repeat visitors; visit their website to learn more. Spa Castle in New York is a large, family-friendly urban resort offering spa pools, saunas, a fitness center, and traditional spa treatments. 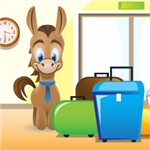 Why Spa Castle is a Top Spa: Every visitor is fitted with a "watch" that allows them to access their locker and charge any additional services, which means that you are free to walk around without lugging any extra baggage with you during your visit. You can visit for a day, or sign up for one of their many membership plans to enjoy their facilities and services year-round. Rescue Spa Philadelphia offers the pampering of a traditional spa alongside individualized, dermatologist-style skincare services. Owner and aesthetician Danuta Mieloch studied for three years as a nurse alongside dermatologists in her native Poland, and brought that knowledge to her Philadelphia business. 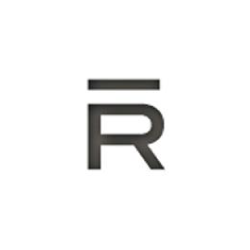 Why Rescue Spa Philadelphia is a Top Spa: Their estheticians can diagnose your skin and help you create a personalized home skincare regimen as well as give you a facial. Of course, they also offer body treatments, massage, manicures and pedicures, salon services, and more. Exhale offers spa services, yoga, and barre in locations nationwide and beyond. Founder and CEO Annbeth Eschbach received her MBA from NYU and created Exhale to bring consumers a transformational mind/body spa and boutique fitness classes under one roof. Why Exhale is a Top Spa: Their range of spa services includes facials, massage, acu-healing, body scrubs, and much more. They also offer guests and members fitness classes like yoga, barre, and cardio workouts. Evolutions Medical & Day Spa in Santa Barbara, California, is a fusion of the clinical and the luxurious, with state-of-the-art medical treatments alongside relaxing services and a serene atmosphere. Founder and medical doctor Terry J. Perkins, M.D., is an accomplished specialist in facial cosmetic surgery, skin rejuvenation, and body contouring who has been serving the Santa Barbara area for more than thirty years. Why Evolutions Medical & Day Spa is a Top Spa: Their medical spa offers a range of innovative treatments from a highly-trained staff to help clients achieve results for concerns such as wrinkles, acne, sun damage, hair removal and much more. Day spa services include facials, massages, body treatments and exfoliation treatments. Guests can enjoy the dry saunas, locker rooms, and tea lounge with any 60+ minute day spa treatment. The Spa On Rodeo in Beverly Hills, California, is a luxury boutique spa featuring a signature healing foot soak created by founder and foot and ankle surgeon Dr. Bobby Pourziaee. Why The Spa On Rodeo is a Top Spa: They also offer luxurious pedicures, massage, and cupping, which can ease anxiety, relieve muscle tension, and even help lower blood pressure. It's also a resource for CoolSculpting, the world's number one non-invasive fat reduction procedure. 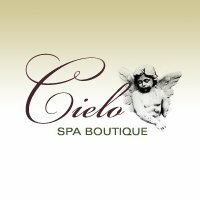 Cielo Spa Boutique in Santa Barbara, California, offers customized skin care with real results in addition to its traditional spa offerings. Owner Roxanne Zbinden has built an impeccable reputation in her 15 years in the spa industry, and aims to provide the highest level of customer service to her clients. Why Cielo Spa Boutique is a Top Spa: Open by appointment seven days a week, their offerings include custom spa treatments, massage, spray tanning, and more. They also offer spa parties so you and your friends can enjoy a day of pampering, and gift certificates so you can give the gift of relaxation. Nob Hill Spa in San Francisco offers a range of delightful spa services with a stunning view of the city skyline. Why Nob Hill Spa is a Top Spa: With ten treatment rooms, whirlpools, an indoor infinity pool, a eucalyptus steam room, a fireplace lounge, and more, there's no end to the luxury in this spa. They also take group and event reservations and offer delicious cuisine, making them an excellent choice for a group spa day. Le Jolie Medi Spa in Los Angeles offers a wide range of medical spa treatments, including body contouring, fillers, and more, in addition to their salon services. Owner and Medical Director Parvaneh Rafaeloff performed clinical research at Cedars-Sinai Medical Center before opening her private practice, which has become a premiere anti-aging destination in Southern California. Why Le Jolie Medi Spa is a Top Spa: Their "Pick-Me-Ups" injection bar brings clients a range of injections that can promote weight loss, boost energy, and even fight hair loss. Le Jolie Spa is a destination for the eternally youthful of LA, with their top-notch treatments and excellent customer service. Serenity Spa NoMad in New York is dedicated to mental and physical wellness, and their spa treatments all reflect this dedication. Why Serenity Spa NoMad is a Top Spa: Every treatment begins with a systematic analysis that results in personal wellness and a beauty profile, so each client is given a unique, personalized experience. Their spa services include massage, facials, body therapy, and much more. Bair Medical Spa in Albuquerque, New Mexico, boasts state-of-the-art anti-aging treatments provided by the most experienced cosmetic physician and staff in the state. Founder Kristie Bair founded Bair Medical Spa with the mission of helping adults look as good as they feel, and helps them leave feeling more beautiful and confident than ever. Why Bair Medical Spa is a Top Spa: Their offerings include facial enhancement, skin rejuvenation, hair reduction, and more. Check out their website to view their full list of treatments and see the discounts they have available. The Spa offers visitors a tranquil, relaxed atmosphere where they can indulge in high-quality, affordable treatments. Why The Spa is a Top Spa: They boast Orlando's top-rated massage on both Yelp and Trip Advisor, in addition to a full menu of traditional spa services. They also offer a selection of monthly memberships for massage, nail care, facials, and waxing. Movara Fitness Resort in Utah is a destination weight loss and fitness retreat where clients can learn and build healthy habits for the future. Founded by Cameron and Michelle Kelsch in 2007, Movara has helped over 30,000 guests find happiness and wellness through healthy eating and exercise. Why Movara Fitness Resort is a Top Spa: Guests can hike the beautiful trails of the Utah landscape, take fitness classes from certified instructors, and enjoy delicious, healthy meals every day of their stay. Movara also offers health and fitness education, teaching visitors good practices that they can take home with them. Wellfit Malibu is a spa and wellness retreat where guests can exercise, learn more about their personal health, and get pampered. General Manager Randy Heuser loves the fitness and wellness industry and has fallen in love with Wellfit, while Program Director Cameron Klein has been working in health and fitness since 2002. Why Wellfit Malibu is a Top Spa: If you visit, you'll experience hiking in the beautiful Malibu landscape, personal or group fitness training sessions, and health and wellness consultations. When you're done working hard, you can indulge in a massage, aromatherapy, and other spa services. Wi Spa is a 24-hour, Korean-style spa in Los Angeles offering traditional, Korean-style baths in addition to health and beauty treatments. Why Wi Spa is a Top Spa: Offering hot and cold baths alongside specialty progressive saunas, massages, body scrubs, and more, this is a unique experience you can visit at any time of day or night. They even have a kids' zone, so it's a great destination for the whole family. 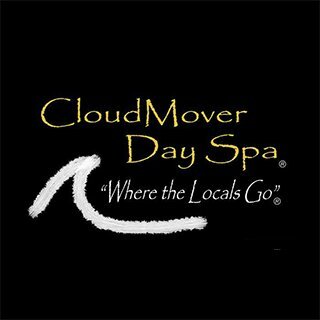 CloudMover Day Spa in Southern California offers a full array of quality spa services from licensed providers. Why CloudMover Day Spa is a Top Spa: Their state-of-the-art services include diamond peels, oxygen facials, an infrared sauna, and much more. Life in Southern California is fast-paced and hectic, but CloudMover aims to give clients a place to relax, unwind, and get pampered. XpresSpa is an airport spa chain with locations at major airports nationwide, including in Los Angeles, Chicago, New York, and many more. Why XpresSpa is a Top Spa: They not only offer a full range of spa services, but also a line of products like travel blankets and other products perfect for relaxing on the go. 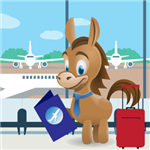 If you're a frequent flyer, you can sign up to become a member and earn rewards with every visit. Sunwater Spa in Colorado offers natural mineral water pools from Manitou Springs, luxurious spa treatments, and classes in every season. 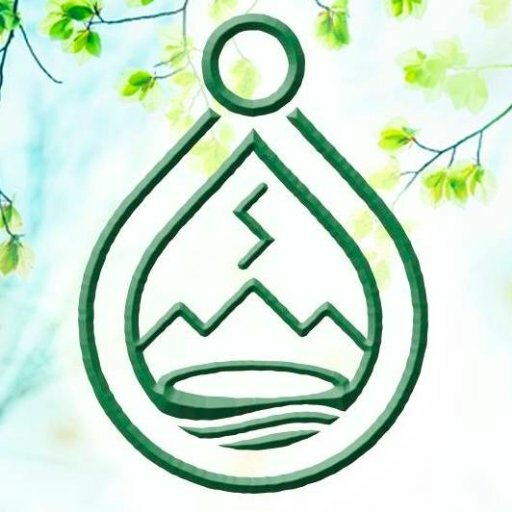 Why Sunwater Spa is a Top Spa: Their menu of services reflects their vision and the history of the landscape around them, utilizing mineral waters, native healing plants, and the practices of the area's indigenous cultures. With frequent workshops and yoga classes in addition to its other offerings, Sunwater Spa is a beautiful, relaxing, healing getaway. Share on Facebook "Best Spas"